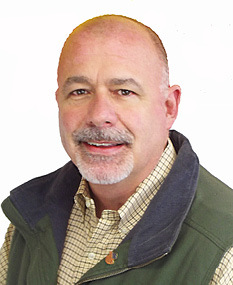 Thompson Truck Centers is happy to announce that Russell O’Keefe has joined the company as a Territory Sales Representative. He is based at our Memphis branch location, and joins the sales team covering West Tennessee and Northern Mississippi. Russell was born in St. Louis, but his family moved several times with his father’s job, ultimately ending up in Mississippi, where many relatives already lived. He calls Brandon MS home, having spent every summer there growing up. After graduating from Brandon High School, Russell received an Associate’s Degree at St. Leo University in Florida, then served in the United States Navy for four years. After leaving the Navy and moving to the Memphis area, Russell worked for what is now Rent-A-Center before taking an inside sales/application specialist position with Baldor Electronics. He later spent 10 years in sales and sales management with Brinks Home Security. Russell entered the trucking industry when a neighbor who ran a trucking company offered him a position as Sales and Operations Manager. Following this job, he worked for Clark Diesel Services – starting as a Territory Manager, then National Accounts Manager and later Branch Manager – and then MHC Kenworth before joining Thompson. Russell and his wife Tina have two daughters, Jenna and Natalie.